Can you see some progress? 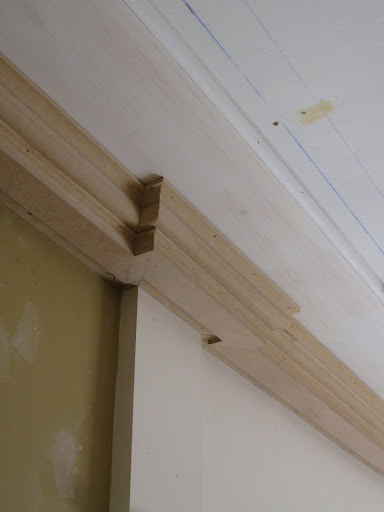 I have completed another row of molding. Putting this project on a fast track has been the goal of late. I announced to my wife that I was going to add shop time to my early morning schedule (prior to work) in an effort to really move this project forward. I have been able to do this many mornings recently. This is in addition to time dedicated in the evenings when I can. You would have to be a very close follower of this project to notice the difference as shown in the photo above. All of the hard work since my last post does not translate into an equally noticeable visual impact, especially since this project is hard to photograph well. The areas highlighted in green have been completed. The yellow section is my current task. 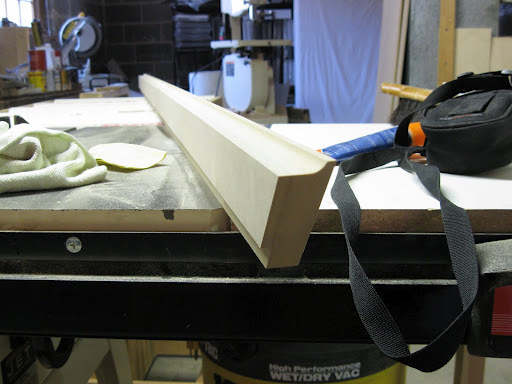 The first step was to mill some more molding, so I had to get the router out and create more – 48 feet more. This next part of the crown profile is one inch thick, so I begin by adding a layer of 1/4″ MDF to a standard 3/4″ thick board. You can see evidence of the different passes of the router in the boards above. This new bit makes nice crisp cuts in the MDF. Here is a little better view of the profile (the molding is resting on it’s rear edge). There is a lot of test fitting on this wall, but it all goes well. I cut one section too short, but the good thing about painted MDF is I can glue the cut-off back on and re-cut it to the correct length. 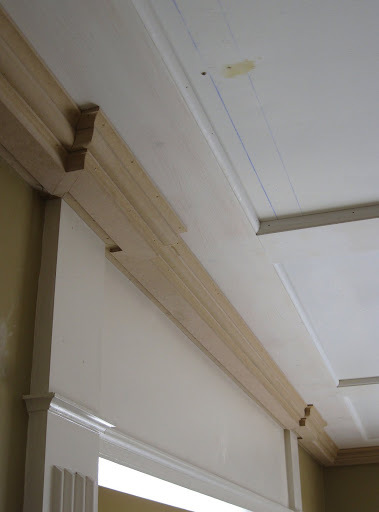 The final step: complete the wrap around the pilasters. I can now call the third row finished. 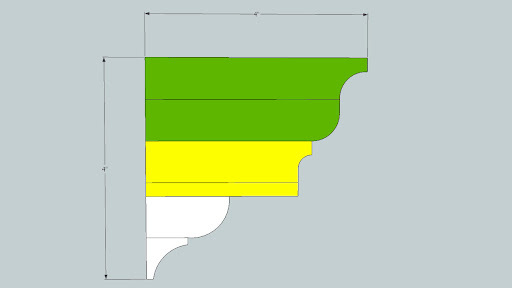 The next two layers of molding should be easier. In my last post, I mentioned the problems created by breathing in some of the terrible dust from this project. Since then, I did a little more research and have implemented several measures to improve my nasal health and I have good news to report. First, I added a section of hose to my dust collector in an attempt to capture more dust as it comes off my table saw blade. 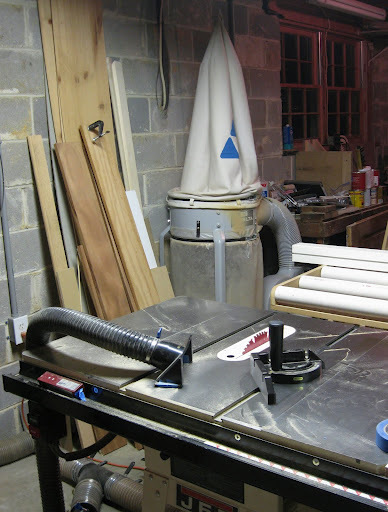 Note my dust collector in the background and the new hose resting on my table saw. I already had most of the parts needed for this. I decided to buy a router table fence dust port for the table surface. I glued and taped four rare earth magnets to the bottom of it which makes the dust port movable anywhere on my saw table. This addition to my dust collection has been partially successful. This new dust hook-up has helped, but to be more effective, I think something directly over the blade is needed like the combination blade guard/dust pickup accessory I have seen. I know this to be true in my shop because you should see the dust cloud that erupts from the occasional cleaning with my electric leaf blower. 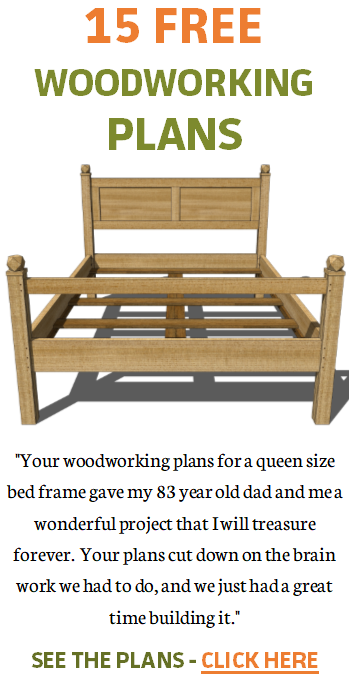 I could go on and on about the things I learned from Bill with a quick scan of his site. But in summary, my dust collection captures virtually no fine dust and only eliminates the need for me to do some sweeping of my shop floor. I still have to get the broom out because my dust collector simply re-distributes fine dust all over my shop. There is a lot of important information at Bell Pentz’s site, so be sure to check it out. I recently mentioned nasal irrigation – I have been doing this very regularly and irrigation combined with a prescription nasal steroid has kept my nose clear enough to sleep well without the need for Afrin. Also, I have resumed the use of a chemical style respirator while in my workshop. So I am making good progress with all of this. The purchase of a 1 micron canister filter for my dust collector is now a high priority – my next step towards improved air quality in my workshop. I also need to look into other upgrades. 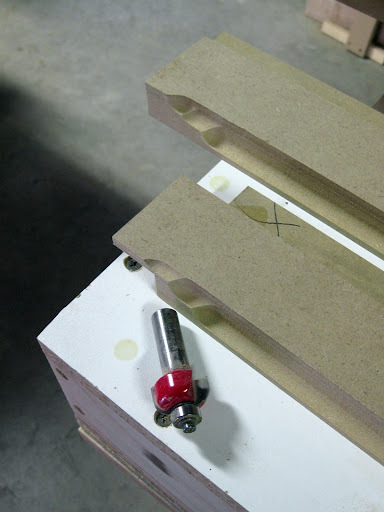 Up next: more router work as I begin cutting the profile of the fourth layer of molding. I am planing on using stock pine quarter round for the final layer in order to speed the process. To view all the posts in this series, click here. This is post twelve. Have a question or comment? Leave yours by clicking on the “Comments – post yours here” link below. My email is jobranch@yahoo.com. Consider subscribing via email or RSS by clicking here. 1. My entertainment center. 2. My workbench. 3. The oak end table. 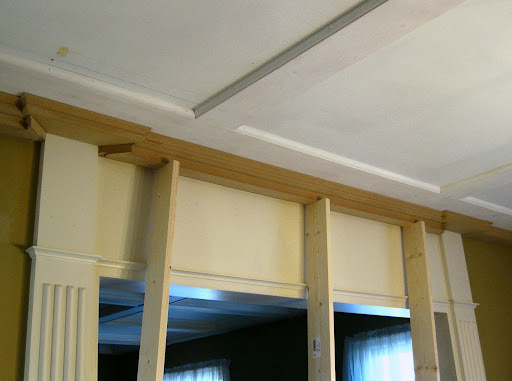 I love the weight of this crown molding. It really has a refined look to it. Once again, your hard work is paying off. So glad that you are having some success with the battle with dust. I once watched a show on a sculptor who had a similar problem and he wore a bandana under a dust mask. Yep, it is hard work; I had a big day with it on Sunday and after taking my Beth to dinner Monday night, I am ready to get back to it this evening. The task of getting dust under control is daunting because it means spending my very limited resources on something not very glamorous. For instance I'd like to buy a new router right now or a handsome hand plane, but a filter for my dust collector seems pretty boring compared to those things. But I know I need to do it. 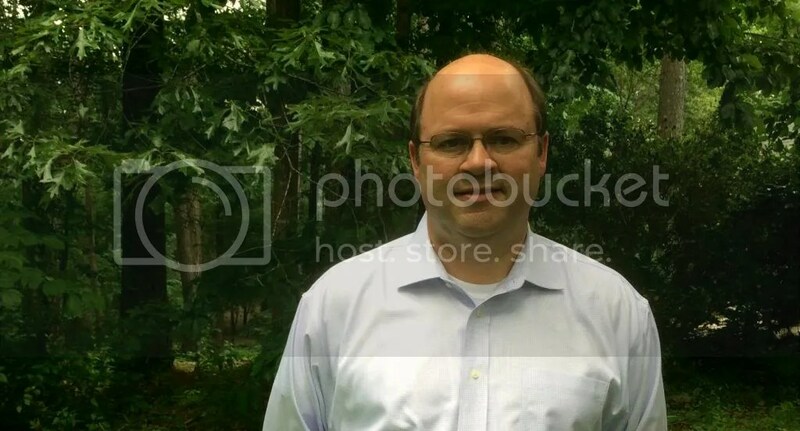 Jeff, the crown looks AWESOME! My wife can't even get me to lay some base shoe in our house. You're a good man. 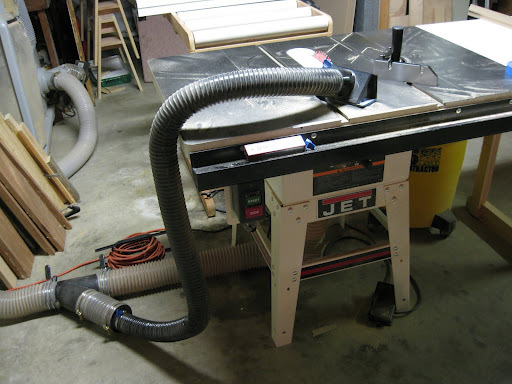 Jason – if you look closely at the photo of my table saw, you will notice MDF dust behind the dust port which indicates not all of the dust is being captured. I am contemplating attaching some card board to the dust port in attempts to further direct more dust to the port opening. Just know that my set-up needs some tweaking. LOL. I just bought an overarm guard for the TS for that reason. I have the new system up and running full bore, and STILL a ton of dust comes off the back of the TS blade. The guard solved the problem. Damn dust…. It's the bane of my own existence. 🙂 You'll get it dialed in. Your patience with big projects is inspiring.and obviously pays off. Great looking work. David – so true as far as big projects. I need to tackle some smaller things because I am currently getting only two projects completed per year! Not good. Patience is a fluid thing – since this post went up, I have had to reduce the self imposed pressure to get this project completed.